Redruth’s poor pre-Christmas form continued into the New Year as they slipped to a fifth straight National League 2 South defeat to Worthing Raiders 28-17. It was the first time the Sussex club had won in Redruth and they did so thanks to three tries from winger Curtis Barnes and the trusty boot of Matt Mclean. Tom Notman scored a couple of tries for the Reds with Connor Gilbert getting a third, whilst Aaron Simmonds kicked a conversion. In the wake of this defeat it was announced yesterday evening that former head coach Nigel Hambly would be returning to the club as Director of Rugby with immediate effect until the end of the current season. Redruth are home again this Saturday to Guernsey with a 1 pm kick-off. In the South West Premier, Camborne staged a great second half comeback against Newton Abbot. Trailing 20-5 at half-time with just an Alex Ducker try on the board, the cherry and whites scored 21 unanswered points in the second half to secure a bonus point win 26-20. Second half tries came from Ducker, his second, Josh Semmens and Declan Matthews with Dave Mankee and Rhodri McAtee (2) adding the conversions. In Tribute South West 1 West, Launceston were made to work hard at home to North Petherton before winning 37-27. Glen Coles, Martin Kneebone, Greg Thomas (2) and Adam Collings scored the tries with Coles converting three and kicking two penalties. 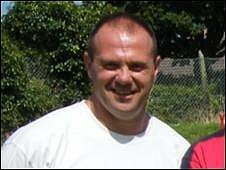 St. Ives ran riot at Alexandra Road in their “away” fixture against Coney Hill 91-12 with Pete Mabbott scoring five of his side’s fifteen tries. In London 1 South, London Cornish made a fine start to the New Year with a 27-17 over former National League side Westcombe Park. Twenty-four 2nd half points turned the London 1 South match with Westcombe Park on its head, the exiles running out deserving winners, the points courtesy of tries from Matt Hakes, Rich Stephens, and a penalty try, with full back Dan Phoenix landing 3 conversions and 2 penalties. This 4th win in 6 matches hoists Cornish up to 8th in the table. In Tribute Western Counties West, St Austell have opened up the promotion race with a 23-21 win at leaders Sidmouth. Ben Plummer, Hugh Noot and Chris Ashwin scored the tries with Cav Boyer kicking the other points. Falmouth lost at home to Wellington 40-10. A J Geach with their sole try converted by Tom Edmonds who also landed a penalty. Wadebridge Camels lost heavily at Kingsbridge 53-5, Jarred Wheatman with their unconverted try. Truro also lost away to Paignton 23-17, Sam Rhodes and Matt Symons scored their tries with Owen Davey converting both, earlier on Justyn Irons had kicked a penalty for Truro. Tiverton beat Saltash at Moorland 23-17. Phil Eastwell and Ryan Cruickshanks with the Ashes’ tries both converted by Kieran Down who also added a penalty.